Mauritania's national armed forces were formed in 1960, following the country's independence from France. They were supplied equipment by France. During its history, Mauritanian military participated in the Western Sahara War and the Mauritania-Senegal Border War. It also carried out three coups in 2003, 2005 and 2008. The Armed Forces of Mauritania is the country's defense force. The main service branches are the army, navy, air force, presidential guard and gendarmerie. 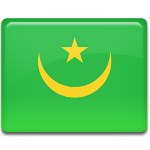 Mauritania also has the national police and national guard, though both branches operate under the Ministry of Interior and Decentralization. Armed Forces Day in Mauritania celebrates the achievements of the country's defense force. It is marked with flag hoisting ceremonies, decoration ceremony and military parades. It is not a public holiday, therefore employees are not given paid time off work.